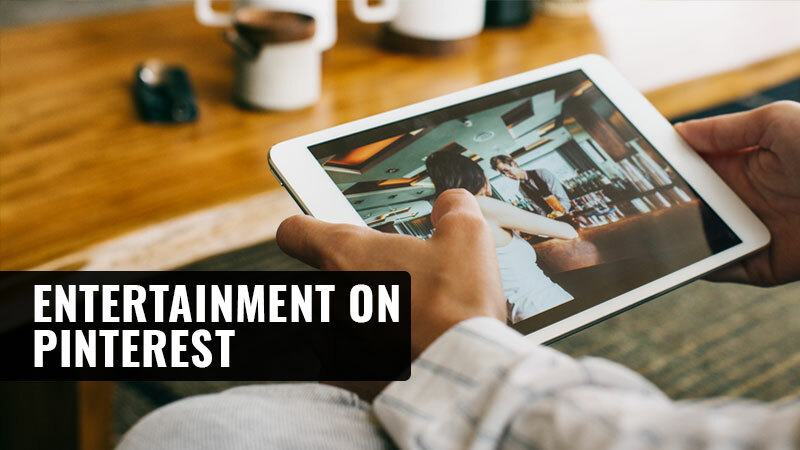 Entertainment Industry can now, more than ever, dwell on Pinterest as the audience appetite for content related to movies and television shows increases rapidly. Entertainment on Pinterest is one of the fastest growing categories with over 11M Boards dedicated to it. Pinterest audiences are particularly fond of entertainment with the platform reaching over 56% of people who use streaming services such as Netflix, Hulu, and HBO Now, and over 42% of people who have watched a movie at a theatre in the last 6 months. Entertainment on Pinterest in inspiring movie nights, recommendations and movie marketing from entertainment brands. Owing to more than 42M people searching for content related to Entertainment on Pinterest such as films and television shows, entertainment brands have taken notice and are utilizing Pinterest as a means to reach their target audience. STX Entertainment used a mix of Promoted Video and Promoted Pins to advertise A Bad Moms Christmas and reached 93% of moms on Pinterest, and saw a 50% increase in intent to see the movie A Bad Moms Christmas. Legendary Entertainment and Warner Bros. Pictures ran Promoted Video targeted to men. Their campaigns led to men saying they were 24% more likely to list the blockbuster action movie Kong: Skull Island as their “first choice” for movies to see. After promoting Kevin (Probably) Saves the World, ABC Network found that viewers were 30% more likely to tune-in to the series. Pinterest wishes to strengthen this association with entertainment brands and making their platform more interesting and meaningful for their audiences, and for this, the company has hired an entertainment strategist, Tina Punoken, and Industry Lead, Mike Chuthakieo. Punoken brings a wealth of experience amassed over 15 years of leading marketing and media strategy for major entertainment brands across movies, TV, home entertainment, streaming platforms and gaming. “People come to Pinterest every day to discover new ideas and decide what to do, buy and watch next. There’s a great opportunity for entertainment brands to connect with Pinners by being part of their journey of discovery, especially in that serendipitous moment when they find exactly what they want,” says Punoken. Mike Chuthakieo arrives after working with brands to deliver solutions on platforms such as IGN, MySpace and Rotten Tomatoes in the past.